Creditors have the ability to petition the court to garnish your wages in order to collect on your debt. 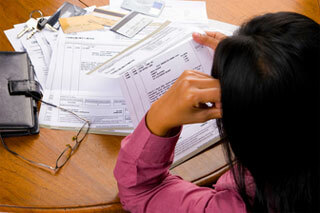 Your creditors can obtain 25 percent of your net income until the debt is repaid. Our law firm understands the severe emotional and financial hardships associated with wage garnishments. We devote our time, talent and resources to helping our clients stop garnishments. The law group of James D. Jackman, P.A. provides Chapter 7 and Chapter 13 bankruptcy representation. Notably, unlike other law firms, we only focus on bankruptcy representation. Our experience handling complicated bankruptcy issues and our knowledge of federal bankruptcy codes enables us to tailor our representation to your unique situation. Filing for Chapter 7 or Chapter 13 bankruptcy protection provides the benefit of the automatic stay, which halts all legal action against you by creditors. If a creditor receives a judgment against you and attempts to garnish your wages, filing for bankruptcy will stop the garnishment process. Even if creditors already garnished wages, we can help.